Unlike your own cat, the cat on our laptop sticker will never be in your way if you want to work on your laptop! 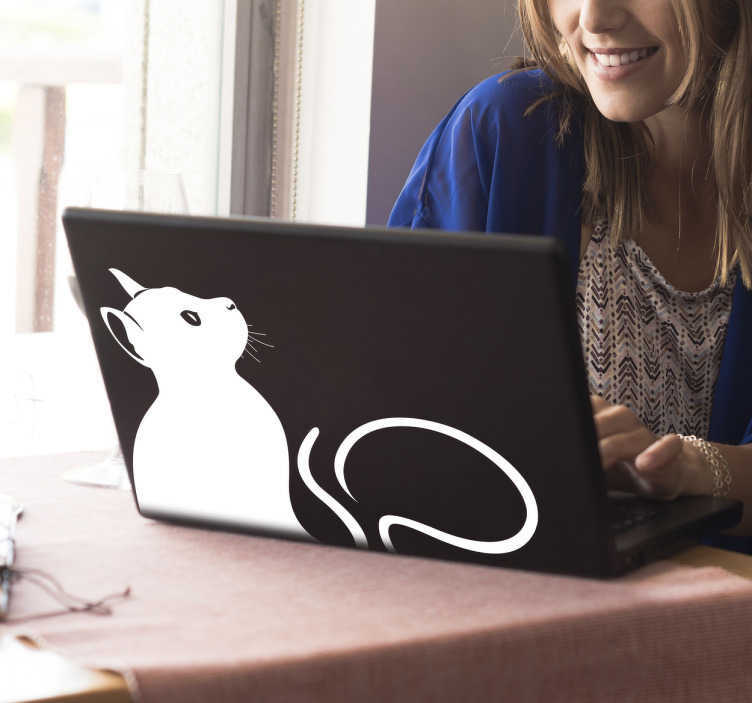 This monochrome laptop sticker consists of the silhouette of a cat curiously looking upwards. The adhesive film is particularly suitable as a decoration from your laptop, but can be applied on all smooth surfaces. Make your laptop stand out with this great sticker! Like all our stickers, this design is available in many different sizes and colours. The sticker can easily be applied to all smooth surfaces and can be removed without residue afterwards. For the production of our wall stickers, we use high-quality, odourless vinyl.